An upcoming Hearthstone update is putting a handful of minions on different tribes, which could be a bigger change to the game than it sounds. With the Hearthstone Summer Championship concluded, it's time to start looking ahead to what's next for Hearthstone. While there aren't any major expansions to announce at the moment, Blizzard is first taking a few steps to make some adjustments to existing minions in the game. Tribe classifications mean a lot for Hearthstone in the big picture. The most obvious affect on the game is in Discover effects. 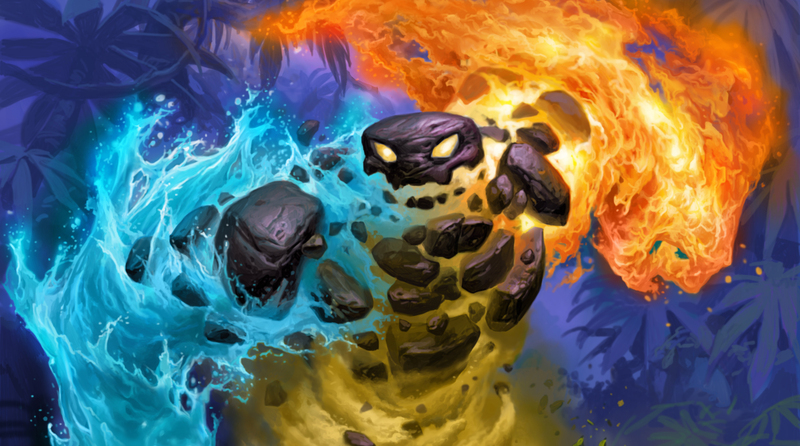 This means that Mages or Shamans playing Servant of Kalimos will now be able to discover Mountain Giants, with the Shaman's Fire Plume Elemental able to reduce their cost and Frost Lich Jaina granting it Lifesteal. Another example is that Warlocks can Discover a Witchwood Piper through the Dark Possession spell. Card effects based on tribes must also be taken into consideration. Any Even Warlock deck running Witchwood Piper can now enjoy the card draw effect, while also utilizing spells like Demonfire to buff its stats. Bloodreaver Gul'dan can also resurrect it, giving the Warlock player an extra minion to play with. Likewise, the Shaman player running Mountain Giant can enjoy the dual effect of buffing it up and gaining an extra minion by increasing its stats with Earthen Might. These changes will take effect with the next major Hearthstone update, with Blizzard indicating that Arcane Dust values for all of these minions will not be affected. For more information, visit the Hearthstone website.